FOX has become notorious for cancelling great shows before they'd even gotten started. To them, if the show isn't in the top 50 after it's initial 13 episode run, it isn't worth their time or money. As a result, some of the most imaginative and intense shows to come along in years are cancelled before they've even gotten started. Human Target is on a list that includes, Alcatraz, The Chicago Code, Gracepoint, Almost Human, Dollhouse, and dozens of others that you've probably never heard of. Unless it's a top 50 show right from the start, or a lame animated comedy, Fox has no use for it and shows like Human Target are replaced with Bob's Burgers and The Cleveland Show. For those unfamiliar with the story, Human Target is based on a long running DC comic by the same title. It is the story of Christopher Chance (Mark Valley), a mysterious man with a mysterious past. Joined by a former police detective, and a hacker/thug named Guerrero, Chance has formed a company that discreetly serves an elite clientele. Their job is to protect their clients from threats at any cost, by injecting themselves into the persons life. Chance's job is to identify the threat and eliminate it before anything happens to the client. I don't know how Mark Valley is not a household name at this point. This guy is so intense, always has tremedous, unorthodox ways of getting out of trouble, and to be honest, he really reminds me of MacGyver. Valley has the looks, the charm, and of course the skills to make Christopher Chance jump off the pages and come to life. But this show isn't just an episonic show, there is also a deep and complex back story that gets more intense with each episode. We know the players and what they are capable of very quickly in the series, but what we don't know is their history. As more and more is revealed, the characters just get deeper and more intense. 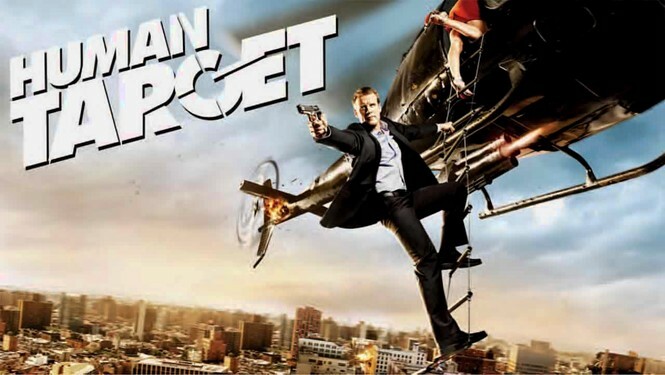 Human Target was a great show, it was original, exciting, and better than almost anything on FOX at the present time. Mark Valley is very impressive, as is the writing. Every episode has at least one thing in it that you did not see coming, and if it were up to me, this show would have been on for years. Thanks for exciting me, getting my hopes up, and disappointing me once again FOX!